FINDING THE RIGHT HEALTH CARE FOR YOU OR YOUR LOVED ONE IS AN IMPORTANT DECISION. YOU WANT ASSURANCE THAT NOT ONLY WILL YOU FIND THE BEST CARE POSSIBLE, BUT ALSO A COMPASSIONATE STAFF WHO WILL HELP YOU WITH YOUR QUESTIONS AND NEEDS. Jenkins has been a leader in rehabilitative, long term nursing, dementia and assisted living services in the Jackson County community since 1971. Our location offers a peaceful country setting with garden areas and wildlife. We know there is no place like home and our goal is to ensure eveyone feels at home during their stay at Jenkins. Your quality of life is very important to us – your wellness is our inspiration. The Rapid Pace Rehab Program at Jenkins Care Community is an innovative service that helps residents recover as quickly as possible from an illness or injury. Our therapists offer personalized care, using a highly focused approach that reduces pain and builds strength. If you are looking for 24-hour-a-day care and cannot get the amount of help needed at home to assure safety and adequate health care, then long term nursing care could be a good option. Jenkins Care Community operates fifty-nine nursing home beds for intermediate and skilled nursing care. If you or a loved one need a safe, home-like environment, three meals a day plus a snack, laundry services, medication assistance, social activities, and assistance with bathing, grooming, dressing and walking, then the Assisted Living Community at Jenkins could fulfill your needs. 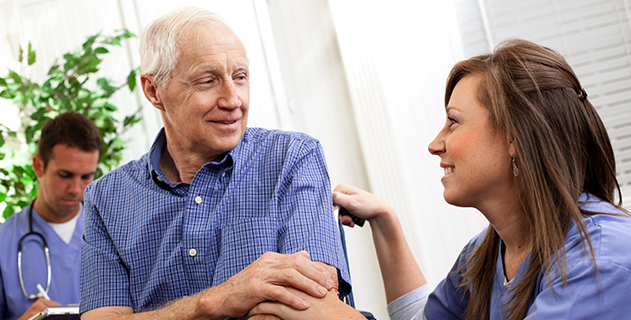 If you are seeking compassionate care for a loved one with Alzheimer's Disease, you realize that this devastating disease affects not only the resident but also the family members involved. 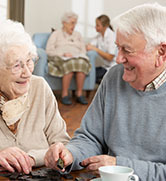 Jenkins Care Community operates a fourteen bed safe environment for those who wander and need memory care.